A detailed price estimate for items listed in your inspection reports to help homeowners understand costs and save you time. After an inspection, on request, your report is sent to Porch's team. 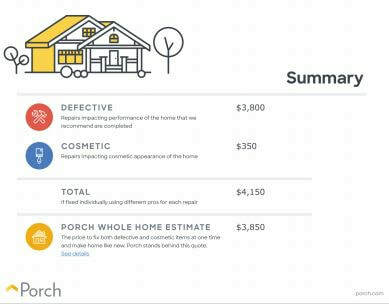 Porch stands behind the quoted estimates for 4 months and offers personalized support for any questions. 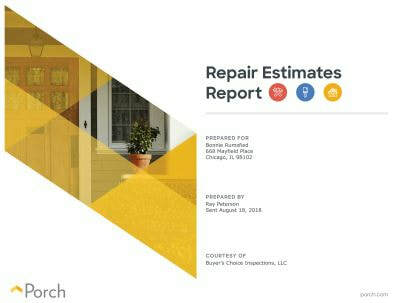 Porch stands behind the estimates provided in their Repair Estimate Reports.